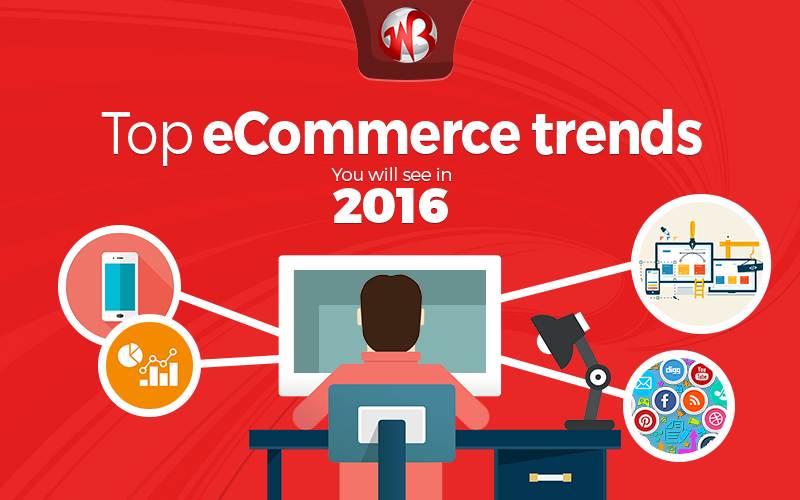 What will be the top ecommerce trends develop in 2016? What will happen in the ocean of ecommerce which we will see in 2016? On one hand, a number of longstanding trends will continue to shape the sector. While on the other hand, new concepts in the field of ecommerce could catch online vendors wrong-footed, if they ignore possibilities that are now opening up. Mobile. This is a “no-brainer” for many, simply because the world is still going more and more mobile, and smart-mobile to boot. Ecommerce sites are still traveling along the mobile road from “compatible” to “friendly” and from there to “optimized for mobile.” Some vendors are further advanced than others. Laggards will need to catch up if they want their piece of the mcommerce pie. Big data. Slow in coming, but a consistent ecommerce trend nevertheless. Using data from different sources to better understand and predict customer preferences and behavior is the way to build online loyalty. In a slightly trickier version, it is also a way to target new prospects. Big data software and systems still require big budgets however. Will a truly affordable solution for SMBs accelerate big data usage for ecommerce in 2016? Social media. Companies are still trying to figure out how best to use Facebook, Twitter, YouTube and their cousins. Can they sell effectively via social media? Is it best used for branding – or for having happy customers brag about the smart purchase they made? In 2016, they will continue to test and tweak to leverage the social media-to-ecommerce link. User experience. This is always a big factor in successful ecommerce. Now companies are cottoning onto the notion that their online advertising could already enhance the user experience and drive more online sales afterwards. Helpful ads are one way to accomplish this. Virtual reality for the more adventurous vendor could be another. Drone delivery. Those UAVs are only the symptom. The real need is to accelerate delivery times, so that customers will get the instant gratification they still experience in bricks-and-mortar boutiques. Amazon and its competitors are chasing each other now to see who can get their products into the customer’s hot little hands the soonest. Pinterest “buy it” buttons. A hot item as we move towards 2016. Some customers will stock photos on Pinterest and subsequently click on the “Rich Pin” to buy. However, smart online vendors know that Pinterest is just one channel among many. They will be working to spread the ecommerce fever to the social media that their target market favors, whether Pinterest or another. The jury is still out on this one. Will smart watches really drive a market for impulse-buying ecommerce or geo-localized click-to-brick sales? Savvy ecommerce organizations will keep an eye open and a toe in the water, but banking on wearables to drive sales would be optimistic at best. How will you know which trend of ecommerce to follow? As ever, start with your end-customers and what they want. When you know this, the right technologies and trends to follow will fall into place rapidly afterwards. Now choosing the right partner for ecommerce solution is also a very difficult task. To know more on it, read our article ‘how to choose the Right Ecommerce solution partner’.